«The results of the October 2018 governmental special operation against crime figures in Gorno-Badakhshan Autonomous Region are evaluated positively. However, the local population voices the grievance over the frequent deployment of military in the region. Meanwhile, there is no confrontation between the center and Khorog on the level of government institutions,” – highlights political scientist Mouslimbek Buriev in original CABAR.asia article. The authorities do, in fact, see GBAO leaders as a threat to stability; the gravity of this threat increases in the lead-up to the Presidential election. Over the course of the last decade, the conflict situations emerged in the region, Dushanbe addressed them using the armed forces. Photo: cabar.asia. In October 2018, the government launched a special operation to push back against the criminal figures in Gorno-Badakhshan Autonomous Region (GBAO). The results of the spec op are described positively, as the government managed to achieve certain results. The local population airs the grievance over the actions of the central government. Specifically, the resentment is focused on the frequent deployment of the military to the region due to the emerging threats to state security over the past five years. That being said, there is no confrontation between the center and Khorog on the level of government institutions. In its turn, the central authorities always underscore that the “informal leaders” of GBAO are a real threat, pointing out to their attempts to destabilize the situation in the region. The recent operation was caused by their illegal activities. In this article, the author tries to examine and analyze the position of all sides, their motivation and possible scenarios of situation development in the region. Considering the position of the region’s leadership, it is necessary to keep in mind that constitutional and territorial integrity remains the key factor under any circumstances. This is particularly relevant for the local government, as it implements the directives coming from center. Ideally, for the state apparatus to function effectively, the synchronized activities of local state institutions in all regions of the country should be ensured with no questions asked. However, one still needs to puzzle out to what degree such a statement is relevant for the description of the current relations between the central authorities and GBAO government. The economic situation in GBAO region is problematic enough even when considered in the context of Tajikistan,  while the state subsidies are too small. With the inadequate financing by the state, the projects of the private investors, including those of foreign, become more relevant. However, even in this case, there are some barriers. The decisions on accepting or denying one or another foreign investment are made by the center;  this presents the region with a substantial limitation in its independent economic development. Considering these factors, one cannot argue that the economic support is a reason for GBAO authorities’ loyalty. Amid the backdrop of the unfavorable economic side to life in GBAO, the high level of criminogenity is a serious problem for the security of region. Amid the backdrop of the unfavorable economic side to life in GBAO, the high level of criminogenity is a serious problem for the security of region. The local government does not possess the necessary resources for addressing this kind of challenges, which explains how it is important for it to cooperate with and be supported by the central government. Dushanbe is forced to resort to mobilization of its resources to take the situation under control and simultaneously perform staff turnover in the local governmental bodies. In the past, Faizov directed the local representative office of Aga Khan Foundation – a donor organization specializing in conducting humanitarian actions in the region. This gave him an experience in the sphere of social interaction, knowledge of the region’s problems and mediation skills. These skills of the region head can play a key role in making him a mediator of relations between the center and local population. Pamiri are an ethnic group of about 220 thousand people populating GBAO, a tiny fraction of 9-million population of the country. Their language, religion and many other cultural aspects are different from those of the major part of Tajikistan’s population. The region itself is separated from other parts of the country by the mountain ranges. There is only one road connecting GBAO with other cities of Tajikistan; the air traffic to the region is rare due to the climate and geographical condition. Despite being the most used in GBAO, Pamiri language has no scripting system. Neither there are TV shows on the language of Pamiri, nor it is taught in the schools. The Pamiri try to save their language through folklorism or projects of the international donors. As a result, the small population of the region is on its own, while the inclusion of the state in addressing the socio-economic problems of the region remains minimal. The small population of the region is on its own, while the inclusion of the state in addressing the socio-economic problems of the region remains minimal. Sooner or later, these factors would form the negative attitude towards the state politics in the region. In the worst scenario, the territorial and cultural detachment can lead to the similar political detachment of the region. Over the course of the last decade, the conflict situations emerged in the region, Dushanbe addressed them using the armed forces. The events of 2012 became the turning point in a relationship between GBAO population and center, when the armed group assassinated Abdullo Nazarov, the regional head of the Committee for National Security, when he was returning from the Afghan border. To fight the attackers, the military forces were deployed in GBAO territory. The population of Khorog reacted to this with a series of rallies demanding to remove the armed forces from city. First and foremost, the recent special operation of 2018 caused an active expression of resentment in social media. Online users from GBAO called for halting “the information warfare against GBAO” in Facebook, Twitter and Instagram; they stressed the absurdity of the campaign for arms withdrawal from Khorog residents: the population of the region did not like to be associated with the criminal figures. The petition of GBAO population published on Change.org website demanded to remove the state armed forces and include the international organization in the process of addressing the situation. The authors of the petition supported the fight against the criminal groups as well. One can conclude that both local population and state have a common goal of fighting the crime, though the advocated methods to solve the problems are different. However, no one planned to protest openly; what is more, the authorities prohibited people from gathering in groups of more than three persons in Khorog streets. Nevertheless, the subsequent events demonstrated that bans were not the main reason for such an inert mobilization. 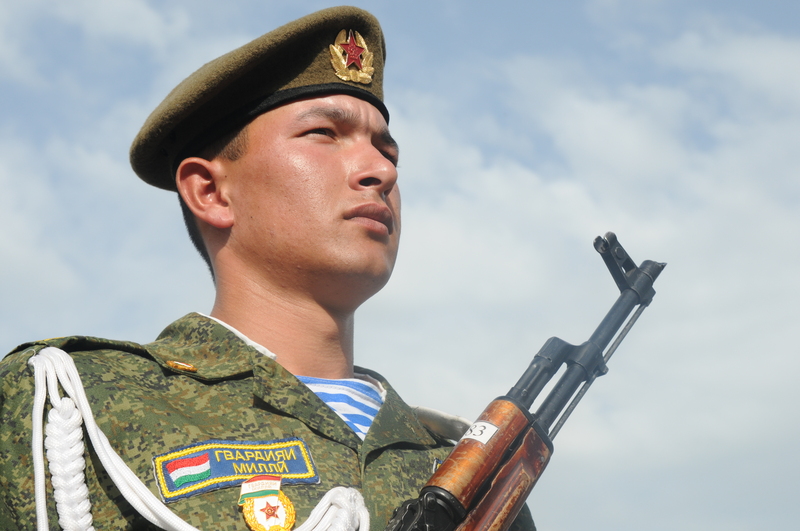 On 6 November 2018, a day before Tajikistan Constitution Day, a rally was staged; it resulted in a conflict between the group of GBAO locals and security officers. Two locals were harmed; one of them said Khurshed Muhammadzoda, one of the Tajik Special Police Force commanders deployed in the region as a part of special operation, was a culprit. The center understands that any attempt to break up a demonstration will lead to a more aggressive reaction; this is why it limited its involvement to issuing a statement that the incident happened due to a provocation made by the group of locals. This case makes it clear that population was ready for this sort of demonstrations all this time, but there was no cause for such an activity until the rally of November 6. The deployment of military is now perceived as given, a necessity to fight the local criminal groups. In this case, demonstrations are a method of the last resort people tried to avoid. The population shares the state position on criminal figures, while the central authorities blame locals for colluding with them. In the country context of Tajikistan, such a political activity is very rare. Particularly, when it relates to the expression of the disagreement with the policy implemented by the state authorities. Not a threat to Dushanbe, this is rather an indicator of the improper attention paid to the interests of the citizens of this very region. The population shares the state position on criminal figures, while the central authorities blame locals for colluding with them. Such a discourse worsens the relations with local population and this further generates a resentment with a center’s policies. As a result, the population loses trust in the fairness of Dushanbe’s position, as it treats the “informal leaders” as those who destructively affect various processes in the region. Tolib Ayombekov, Mamadbokir Mamadbokirov, Yodgor Mamadsalamov, Hursand Mazorov and Munavvar Shanbiev are the “informal leaders” depicted as those responsible for the crime problems in the region. Among their aggressive acts, the authorities highlight the seizure of Khorog office of the Ministry of Internal Affairs in 2008  and assassination of Nazarov in 2012. Both of these cases were accompanied by the involvements of center’s armed forces to resolve the situation. The activities of the informal leaders are also linked with a proliferation of arms and illegal drugs trade. Each move of the informal leaders can be treated as a provocation. Their actions force the government to directly affect the situation using the armed forces. This, in its turn, causes protests from the side of population. As a result, the development of antagonism of local population with regard to the central policy is very beneficial for them. They hope to completely strip the state off GBAO population’s support and increase the separatist sentiment. The reason for such a position lies in their past: during the civil war of 1992-1996, they were loyal to opposition forces. Previously guerilla leaders, they do not recognize the power of President Rahmon and try to implode the reputation of GBAO government with any mean possible. It comes as no surprise that countering them and their activities is the priority in a current state institutions’ internal security policy. What raises the most doubts is why did the informal leaders decide to avoid provocations or other types of aggressive actions in the current situation. In a beginning of the events, they visited the Prosecutor’s Regional Office with a peaceful intention and denied all the accusations. Afterwards, they planned to meet the President in Dushanbe, then travelled to northern Sughd region being invited by the authorities to visit the local water storage lake. During this visit, the authorities did not attempt to arrest them; instead, the authorities established contact with these leaders. Previously, the informal leaders signed protocols agreeing to avoid conducting criminal or aggressive activities. Among the demands they agreed on were abdication from calling for the popular unrest, organizing meetings and involvement into the civil and administrative affairs. Seemingly, their connection to a broad public worries the state as well. Signing these agreements revealed that the authorities recognize them as a political subject, not as solely criminal figures furthering destabilization in GBAO region. The main objective for them is to limit their connection to locals and stay away from politics; doing so will allow for a compromise. On the flip side, it is still not clear whether the authorities are forced to agree for such measures or whether it is a part of a plan to eradicate the influence of informal leaders. Dushanbe tries to show that central government is ready to start talks with those not recognizing its power. At the same time, the special operations are conducted to demonstrate the military might, to prove that “the hearty few can do nothing to a million-man strong army”. The leaders understand that the center strengthens its positions in region, and, in their turn, avoid confrontation. The reason behind the unexpected increase in state activity in GBAO may lie in center’s preparation to react to the worst possible scenario. Thus, in July this year, the joint Russian-Tajik military exercise in eastern Pamir were conducted for the first time ever. What is interesting, they were conducted 120 km away from Khorog and were aimed to check the readiness of the armed forces to react to the terrorist groups breaking through a state border. However, there is a possibility that the government tries to prepare its forces to counter attacks from within, not from outside. The authorities do, in fact, see GBAO leaders as a threat to stability; the gravity of this threat increases in the lead-up to the Presidential election. It is not yet clear whether Rahmon stays for the next term, as many expect Dushanbe Mayor and President’s son Rustam Emomali to become the new head of the country. Dushanbe expects that a period of power transition to the new president will present the armed groups with an opportunity to seize control over the region. Rahmon hopes to strengthen central authorities’ power throughout the country and tackle all internal security problems before giving away the power to his successor. The informal leaders are being constrained within the region; in exchange, they are allowed to be on the loose. This is why the President is forced to agree for a compromise with the informal leaders, while making it clear for them that the center is ready to react to any attempt of mobilization from their side. The state has a clear hierarchy of priorities in its GBAO policy. The security and political stability are important for the center. The informal leaders are ready to agree to authorities’ demands, which can be considered a success in resolving the situation. Whether the problem is tackled remains an open question. It is very likely that there will be no drastic shifts in the situation. The region will continue facing an array of economic problems, while the leaders will continue using it to expand their influence on GBAO population. The local government can get a chance to improve its role as a mediator in center-locals’ relations. The grievance of the population over the crime can contribute to it. As a result, the local government can improve its authority. The leadership of GBAO should serve in a capacity of the official representative of the local population’s interests and involve center into resolving socio-economic problems of the region. Even if this is not successful, the relations with local public can significantly improve. To resolve potential conflicts, the local activists, civil society and youth organization need to be involved. A complex set of measures needs to be adopted to tackle the region’s problems, the situation in GBAO should no longer be considered exclusively through the prism of the state security. The population’s and center’s positions have a lot in common. The locals are not interested in the open conflicts and share center’s concerns over the existing criminal situation. The presence of the armed forces and tight supply of state support to the region are among the major factors of population’s resentment. The state has a clear hierarchy of the priorities, the interests of GBAO population, the problems it faces and methods of addressing these problems should be included into such a list of state priorities. This article was prepared as part of the Giving Voice, Driving Change – from the Borderland to the Steppes Project implemented with the financial support of the Foreign Ministry of Norway. The opinion expressed in the article does not reflect the position of the editorial board or the donor.